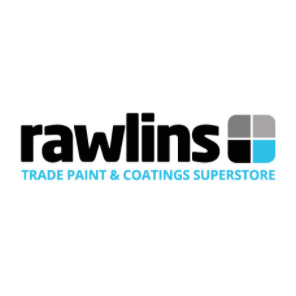 502 HD Anti Slip Coating is applied by brush or roller in one thick, durable coat and it will provide a heavily textured finish incorporating an anti-slip aggregate which is dispersed within the material upon application. 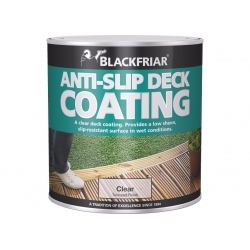 Each pack contains sufficient material to provide a slip resistant epoxy coating system to 5 square metres of surface. 502 HD Anti Slip Coating is a solvent-free, high-build epoxy resin system for application as a heavy duty non-slip floor coating for concrete, metal and wood surfaces requiring high levels of slip resistance. 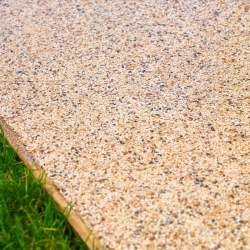 The virtually odour free system is finished with a hard wearing aluminium oxide anti-slip aggregate and will withstand heavy traffic including fork lift trucks and chemicals. 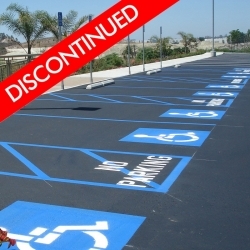 High traffic areas requiring high slip resistance such as floors, stairs, ramps, loading bays, etc. Concrete shall be a minimum of 21 days old and/or the residual moisture content shall be below 6%. Ensure that the concrete is clean and free from dust, laitance, grease, oil, curing compound, and existing paint finishes etc. Smooth concrete, or concrete with soft laitance, shall be mechanically treated by diamond grinding or grit blasting to provide a clean profiled surface. Should this not be practicable then acid etching, although less preferable, is also an option. Metal surfaces shall be wire brushed or power disced to remove any rust and loose or flaking material. Grit blasting is recommended, where practical, for optimum performance. Coating application should be carried out immediately after preparation. Wood surfaces shall be sanded to a smooth finish, and all previous coating removed. Previously untreated wood shall be sealed with a coat of 401 Epoxy Floor Primer or 402 Damp Proof Coating. Note: Substrates with high moisture content or oil contamination can still be coated in most instances by the inclusion of one of our specialist primers. Please see 402 Damp Proof Coating and 403 Oil Tolerant Primer for full details. Pre-mix the coloured base component to a uniform consistency then mix the entire contents of the base with the hardener using a slow speed electric mixer for approximately two minutes or until the two components have fully combined. Do NOT add the aggregate into the mix. Note: If a separate mixing bucket is being used then mix thoroughly as above ensuring all contents of the 2 components are removed from the buckets supplied. The ambient temperatures of the areas should not be allowed to fall below 10°C throughout the application and the curing period, as this could have an adverse effect on the appearance and colour of the system. Surface temperature must be above 5°C. Where possible it is recommended that the application area is heated to a minimum temperature of 15°C ideally to allow the ambient and substrate temperature to stabilise prior to installation. The mixed unit should be applied immediately by medium pile roller (not foam) or brush with a consistent procedure at an even rate of application to a measured area of no more than 5m² per pack. 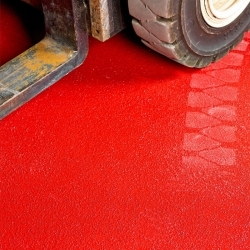 Floor areas should be cross-rolled to ensure even application and to minimise roller marks. Immediately scatter the anti-slip aggregate uniformly onto the wet coat to obtain the desired surface finish (total or light coverage as required). Using the same roller that was used to apply the mixed resin and hardener roll over the sprinkled aggregate to bed in and cover the anti-slip aggregate. It is not normally necessary to re-charge the roller with mixed resin unless very heavy quantities of grit have been applied. Coverage rates will depend on profile and porosity of the substrate. 304 HD Epoxy Floor Coating can be installed as a first coat for a smooth finish followed by a top coat of 502 HD Anti Slip Coating for a textured finish. Or an additional coat of 304 HD Epoxy Floor Coating can be applied (not exceeding 200 microns) over the cured 502 HD Anti Slip Coating system to increase the life expectancy of the system, change the colour and make the finished surface easier to clean (please note this will most likely reduce the level of slip resistance). The surface preparation will be key to longevity; the steel should ideally be shot blasted to produce a clean profile to optimise adhesion. 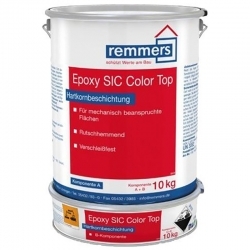 Reduced levels of preparation may affect the bond strength and therefore the service-life; the use of a suitable primer, such as 404 Epoxy Metal Primer should also be considered on more minimally prepared surfaces. Given proper preparation, we would anticipate a minimum service life of 5 – 7 years for the system. 502 HD Anti Slip Coating is not UV stable so if colour/gloss retention/stability is important 309 Polyurethane Coating could be used, following a minimum 24 hours cure of the 502 HD. 502 HD Anti Slip Coating is VOC free. 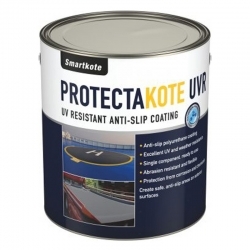 We would recommend after preparation, priming the tiles with Smartkote Protectakote Clear Primer Treatment and then finishing with Smartkote Protectakote UVR. 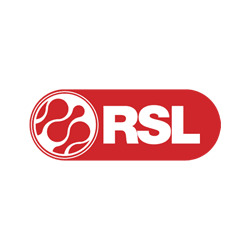 Question: we are looking for a non slip concrete covering for use in our pool room in our canine hydrotherapy centre. The product must be waterproof as obviously some parts are permanently wet and inside a shower area also. It must be non slip and scratch resistance. Plus it needs to look nice too. Do you have a product you can recommend ? Both our 502 HD Anti Slip Coating and 503 Easy Clean Anti Slip Coating would be suitable for this application. 502 leaves a much coarser more aggressive anti-slip profile than the 503. 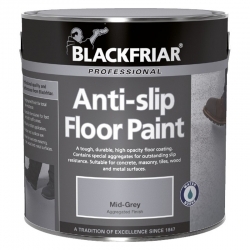 502 HD Anti Slip Coating should ideally be applied to bare or suitably primed floors. If an existing coating cannot be removed for any reason, then 502 HD Anti Slip Coating may be applied if the existing paints are epoxy based. Abrade the existing paint thoroughly to provide a key, ensure that any loose and flaking material is completely removed and test adhesion and compatibility by applying to a small area before proceeding. 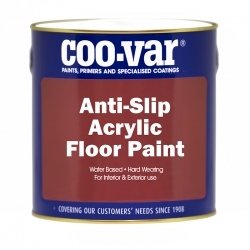 Alternatively, our 501 Anti Slip Floor Paint can be applied over most existing floor paints without issue. 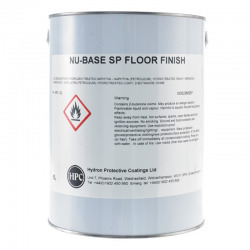 Do you need a primer applied to the concrete floor before you use 502 HD Anti Slip Coating? If so what one should you use? No primer is necessary if the concrete is clean, dry and prepared according to the data sheet. You can use 402 Damp Proof Coating if the concrete has no DPM (damp proof membrane), has a high moisture content or has recently been laid. You can use 403 Oil Tolerant Primer if the concrete has oil contamination. 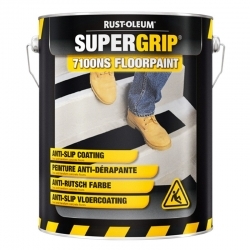 A fast drying Rust-Oleum spray paint containing a special anti-slip additive. 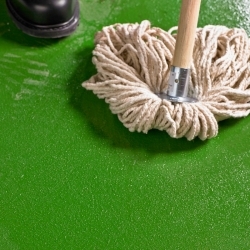 It can be applied on metal, concrete, ceramic and wood surfaces making virtually any surface non-skid instantly, ideal for small maintenance jobs or for touch-up. 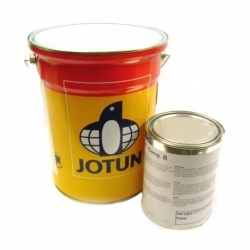 Jotun Jota Armour is a three component, abrasion resistant, polyamine cured epoxy coating specially designed as an anti-skid coating. 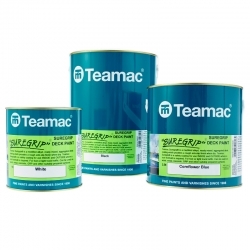 Suitable for approved primers or directly on concrete substrates - such as helidecks, walkways, ramps, weigh bridge decks, decks in general where abrasion resistance and non-slip properties are required. Jotun Jota Armour WG is a Winter Grade version of the standard Jota Armour to allow faster curing in lower temperatures. It is a three component, abrasion resistant, polyamine cured epoxy coating specially designed as an anti-skid coating. 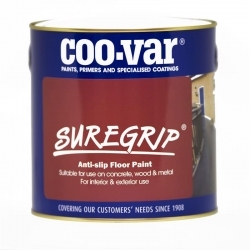 Suitable for approved primers or directly on concrete substrates.